“Áshtar”: Hello. 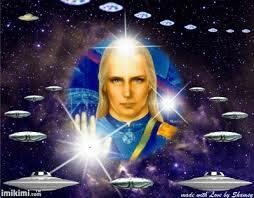 I am “Ashtar” and I serve under “Lord Sananda’s” command in this universe. I come to assist those upon the planet and all of those upon my ships. In your multidimensional selves, many of you here are in fact working upon ships with me and you are mine. You are mine to continue to watch over. You are mine to continue to move forward in this service you have found yourself bonded to on this planet. 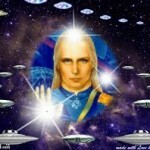 I am here to continue to assist with other ships coming from other planets and other systems. I am here to help in the organization of all of that. So that as these events continue upon the planet, they happen in the way that Prime Creator has set forth. It is my greatest pleasure to serve “Lord Sananda” and to be at his beckon call for those things he directs me to do. I have spoken through many upon the planet to assist in the belief in the Galactic Brothers and Sisters we are and the faith in you moving this process forward. Question: What does a time line shift look like from your perspective and what does the timeline look like a few years down the road? “Ashtar”: A few years down the road there is no timeline. It will be non-existent because you will have shifted yourselves. Timelines from day’s past was filled with the prophecies of destruction. It was filled with the prophecies of the planet not surviving. This particular timeline that had been in place had been written about in native people’s paintings and books around the planet. Of the holy Bible that had its effects on this culture, of the Mayan people, all who expected that this would be the end of days. And yet there was a continuance beyond the end of days into the continuum of the New Earth. At one time there were so many timelines created as people who lived upon the planet. Because the programming had been so insistent on the culmination of “the end” that was the ending of the timeline that many individuals created and fed into the mass consciousness. But as we more actively entered the pictures sometime back, close to 50 years of your time ago, we began to see things change. We began to change things. We brought forth a timeline, collapsing other timelines upon it, not only in our own powers but we watched as this occurred. So the shifts started to happen slowly and then began to happen more and more quickly in the past twenty years. And the shifts that we watched happen had an outcome very different from those of many thousands of years. What we saw from our perspective was a new hope, a new song coming from the planet. 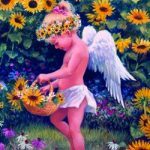 The birth of Lightworkers upon the planet as well as those working from other dimensions, other planets, other places came together to make this New World occur. To allow the new to occur. To move things aside and to take those who have been in power and move them aside. This took much planning. The timelines continued to shift because of the upsurge in the human population, in the human consciousness. And then the feeling of over-powerment came again. We watched as the human timelines continued to move into unity, into one-ness, over time. You have heard that the timelines have shifted moment to moment, day to day, because of the consciousness upon the planet. We will tell you now that there is one timeline that is movement forward to no timeline. No expectations. No powers over you. All of this is occurring now. What does it look like to us? It looked like chaos when we became involved. It looked like chaotic thoughts, chaotic emotions, and chaotic consciousness. Now, there is much more unity and that will only increase. Much more unity at the Divine level about the timing that is to be. And so it allows us to step in at this time and be more hopeful, more unity and expectation of good at the mass consciousness level of humans. Those upon the planet realize that the past prognostications for gloom, doom and destruction of the planet are gone. Now we are working to get rid of fear and build the love. Do you see this in the moment to moment shows, the moment to moment life upon the planet? No. you still see chaos as a result of old timeline planning. Old thought processes. Past, past. What is created in the Now though is the love and the expansion that is present in the human population and the human consciousness. Doe that answer your questions, dear one. Comment: Yes. And I want to thank you and all of our Galactic brothers and sisters and interdimensional friends who are working on this Ascension process. Thank you. Well, we wish to thank you for all that you are doing. You are aware of many of your purposes on the planet at this time. We know that you know that you are in service to us and we appreciate that. We give you thanks and bless you on your journey sir.